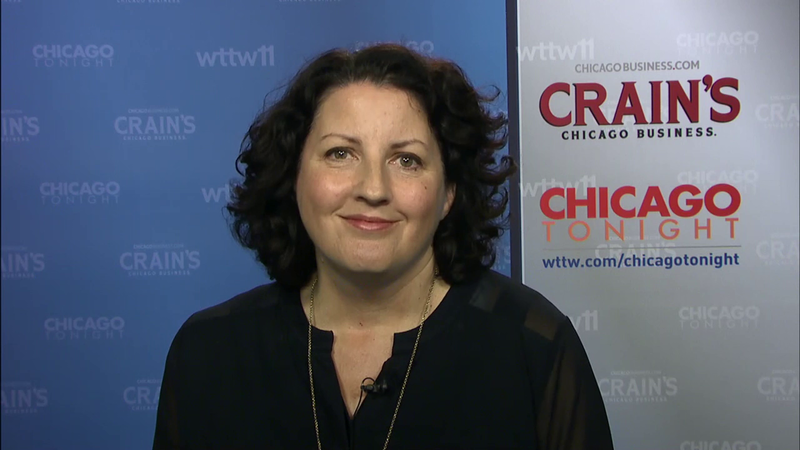 Crain's Chicago Business deputy managing editor Ann Dwyer takes a closer look at the top business stories of the week, including Motorola Solutions' announcement that it will move from the suburbs to downtown, a new developer eyeing the Old Chicago Main Post Office, and whether Chicago-based MillerCoors will break up under a new beer merger. She’ll also discuss the possibility of licensed food carts coming to Chicago. Motorola Solutions announced it will pull up stakes in Schaumberg and move its headquarters and 800 jobs to downtown Chicago. Motorola Solutions joins a mass exodus of some of state’s biggest corporations to downtown including United Airlines, Motorola Mobility, and Kraft Heinz among others. McDonald's even considered making the move. Old Main Post Office may have yet another developer—this one from the United Arab Emirates. The massive building that spans across Congress Parkway above the Eisenhower Expressway has been vacant since 1996 unable to secure a developer who actually builds out the 2.7 million square feet. The last owner, British developer Bill Davies, dreamed of turning the sprawling structure plus adjacent land into offices, hotels and residences including a 120-story skyscraper. Davies is expected to keep an ownership stake when he sells it to Gulf Resources Development & Investment. Chicago-based MillerCoors may be breaking up if the world’s two biggest beer companies merge. Anheuser-Busch InBev is planning to make an offer for SABMiller but a deal isn’t guaranteed. If the two companies merge, it will produce 200 of the world’s beers including Budweiser, Bud Light, Miller Lite, Grolsch, Miller, Coors, Molson, Leinenkugel and Blue Moon. But a company with 70 percent of the U.S. beer market will likely spark an antitrust review. And no word on what will happen to the operations in Chicago if this deal goes through. A City Council committee took the first step to lift Chicago’s ban on food carts. Vendors would be required to prepare their food in licensed kitchens that could be checked by city health inspectors. The City Council will vote on it next week.